“Technology, play, participation: Construction toys and the shaping of ideal citizens (19th – 20th c.)”, presented during the Society for the History of Technology Annual Meeting, Philadelphia PA, 26-29 October 2017. Play activities based on digital technologies are nowadays a predominant element of childhood leisure and education. The diffusion and popularity of technology-based play is therefore a crucial factor in shaping future generations. Historically, construction toys have also played an important role in instructing children and preparing them to participate in social life as adults with specific roles and duties. 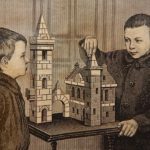 This paper examines construction toys such as building blocks (c. 1840-1940) in order to analyse the relationship of technology-inspired play with ideas of citizen participation. Construction toys originate from the world of engineering and machinery and are inspired by the architectural and technological environments. They have been devised and developed by adults on the basis of the opportunities these environments afford for play and for pleasurable instruction. The early history of building blocks is connected to the work of Friedrich Froebel, who devised the Kindergarten concept and created educational building blocks for small children. 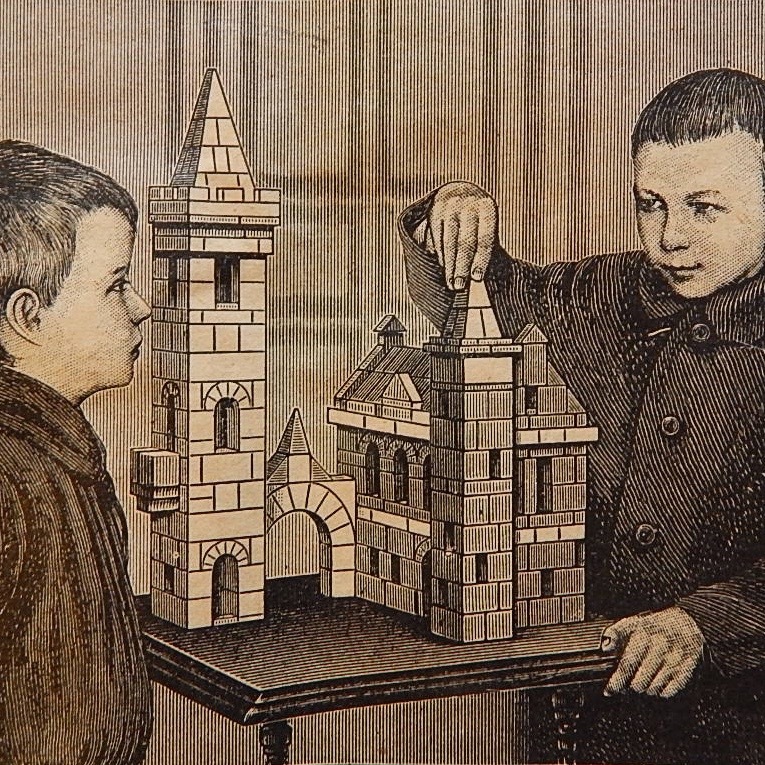 Subsequent versions of construction toys in late 19th century Germany addressed the challenge of indoor entertainment for children of urban middle-class families, while at the same time promoted skills such as concentration, self-control and perseverance which were highly valued in a rapidly industrialising society. Although construction toys were not necessarily gendered, various types were specifically targeted to boys as future engineers. The relevant discourse emphasised progress, order and rationality, and regarded the engineer as the ideal male citizen. In the beginning of the 20th century, modernist designers and architects were equally fascinated by play and used construction toys as a way to explore ideas of utopian societies, the glass toy devised by Bruno Taut being a most interesting example. In communist Russia, building blocks were also employed as a model and metaphor for building a new society through engineering expertise and hard work. On the other side of the Atlantic, the Lincoln Logs constitute the most famous example of a US construction toy. Promoted nowadays by its manufacturer as “America’s National Toy”, it was designed in 1916 and patented in 1920 by the architect John Lloyd Wright. Consisting of miniature wooden logs, the toy was meant for the construction of forest cabins, frontier forts and other structures linked to a mythology of the conquering the expanses of the American West. In the case of the Lincoln Logs, the constructive inclinations of children were paired to a tendency to raise active, bold and self-reliant citizens. The paper constitutes work-in-progress from a wider research project on the history of construction toys. An object-based approach is employed to explore the relation of construction toys with ideals of participation and citizenship. The discourse lies on the intersection of the history of technology and the history of play.